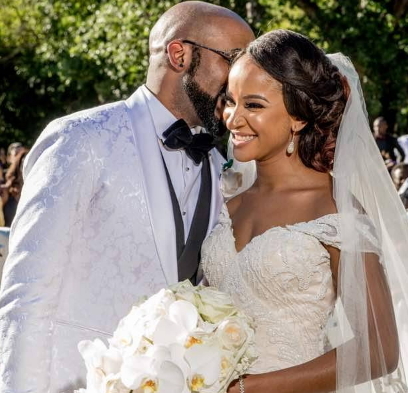 Celebrity couple, Adesua and Banky W are presently on honeymoon in South Africa and they seem to be having a lot of fun. The couple have shared pictures of their visit to the house of Late Nelson Mandela and they are really inspiring. Banky W took to his Instagram to share his experience on his visit to the house of late Mandela. He wrote the following as he shared a picture; "Standing in the doorway of Mandela's house in Soweto.. I thought about my own life and legacy. The prayer is that the good work I do while on earth, will outlive me and leave a legacy behind for generations to come. RIP Mandela. May many more of our African leaders and people be blessed with your mindset and character. Amen. #mandela #MySAExperience #flySAANigeria #legacy #blackexcellence #baad2017 #inspired #mandelahouse #vivamandela #tatamadiba"
Zebula golf and spa And Mandela House. Never underestimate the power of well preserved history"